Transport yourself to the Pacific beaches of the Hawaiian islands with this take on the famous drink. Sweet and savoury passion fruit blends with the smooth exotic of the Kiwi fruit and the bursting ascorbic punch of the pineapple. 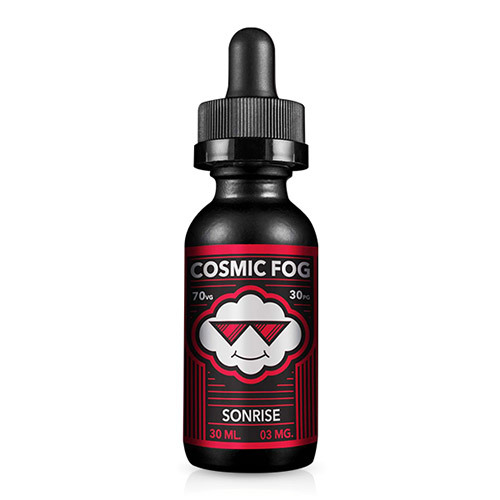 As you ponder life's intracies with the rising of the sun, that pondering may turn to the hidden flavour notes in this e-liquid. Anything to stop you pondering on why women in Liverpool walk round with their hair rollers still in, is a good thing. Ponder away, Sonrise lovers.